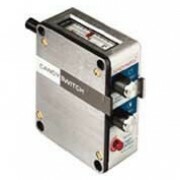 There are a few other timing devices that Candy Control manufacture that we are able to offer you. The Candy Switch and the Harmonic Deferential. The Candy Controls Harmonic Drive HDD & HDDX Series Differentials are infinitely adjustable in either direction, while running, and use the familiar Harmonic Drive components. 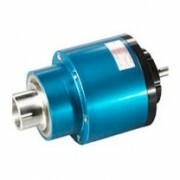 Contained in a lightweight aluminum housing with corrosion resistant stainless steel shafts, the HDD/HDDX is ideal for directly mounting to the end of a roll shaft to provide static or dynamic phase or speed adjustment. The Candy Switch is used by thousands of equipment manufacturers and users world-wide to control circuits during a machine cycle. This Candy Switch can vary the "on-off" time cycle as well as the length of "on" dwell time. Each electrically controlled machine component can be synchronized to the demands of the parent machine without specifically designed cams or expensive electronic devices. Under average conditions, the Candy Switch mechanism should operate satisfactorily over 100 million cycles at 100 RPM. In most individual applications, it is inherently more accurate than the machine driving it. Adjustable while running.